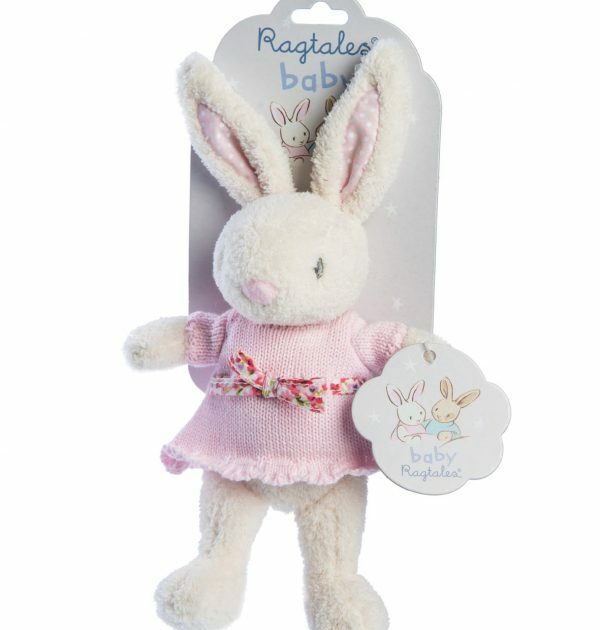 Baby Fifi Rattle Softie measures 23 cms in height. 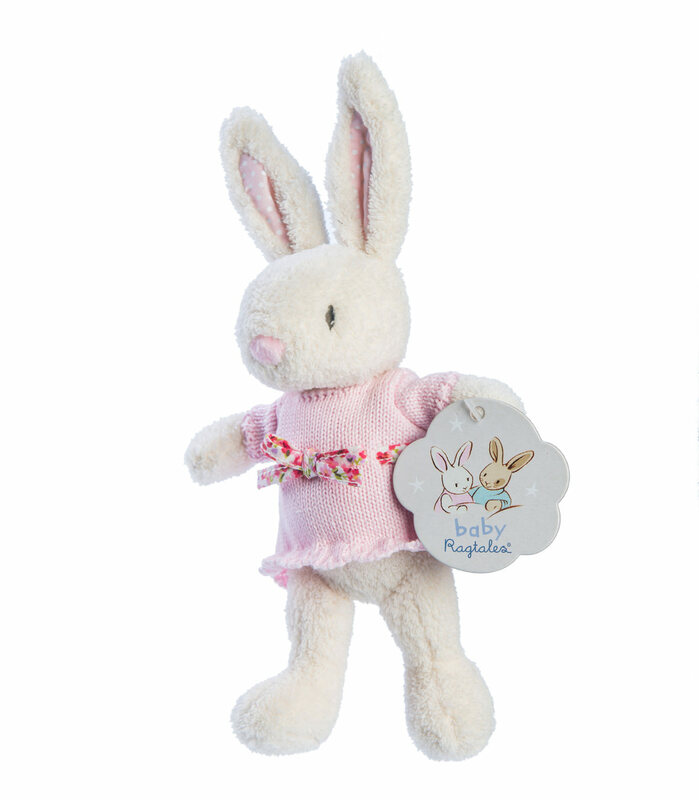 Fifi Rabbit’s baby sister is a gorgeous soft toy baby rattle made from the fluffiest, cream, plush fabric. 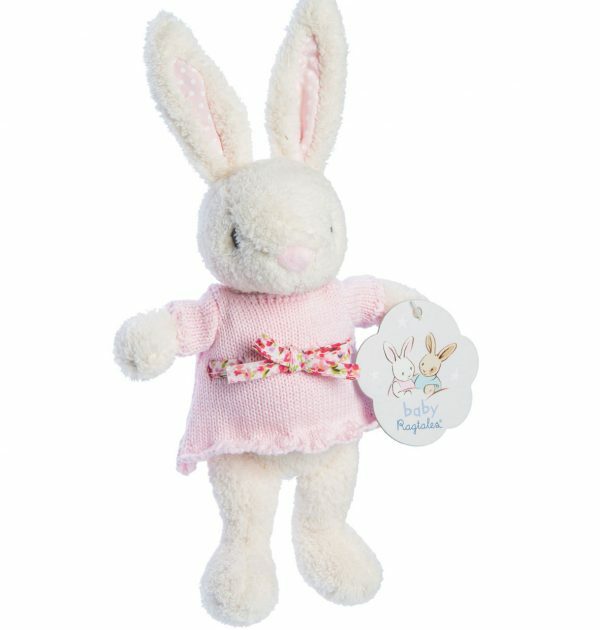 Her floppy ears are sewn with a contrasting pink, polka dot fabric, and she is dressed in a pink, 100% cotton knitted dress which is finished with a floral bow. With a delightful tinkling rattle when shaken, Fifi rattle softie would be an ideal companion for your baby in the cot or pram. 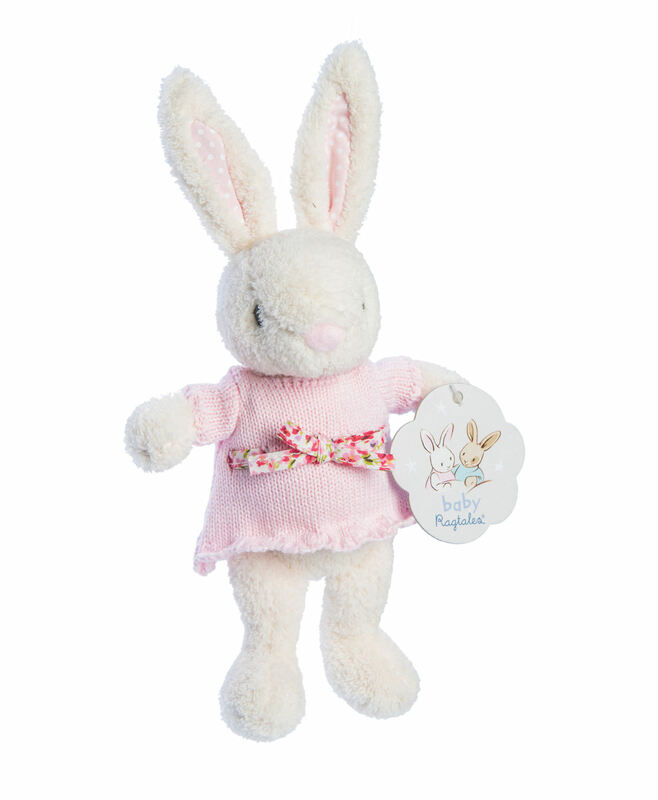 Fifi rattle softie is a perfect christening gift, baby shower or birthday present. 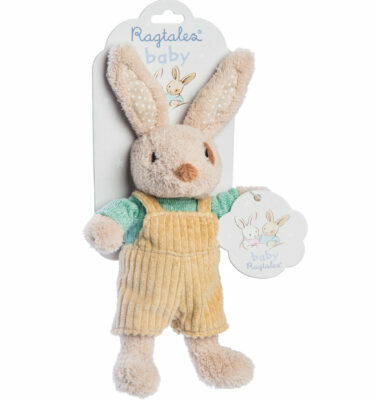 Baby Fifi Rattle Softie measures 23 cms in height. Machine washable at 30 degrees. Suitable from birth onwards. 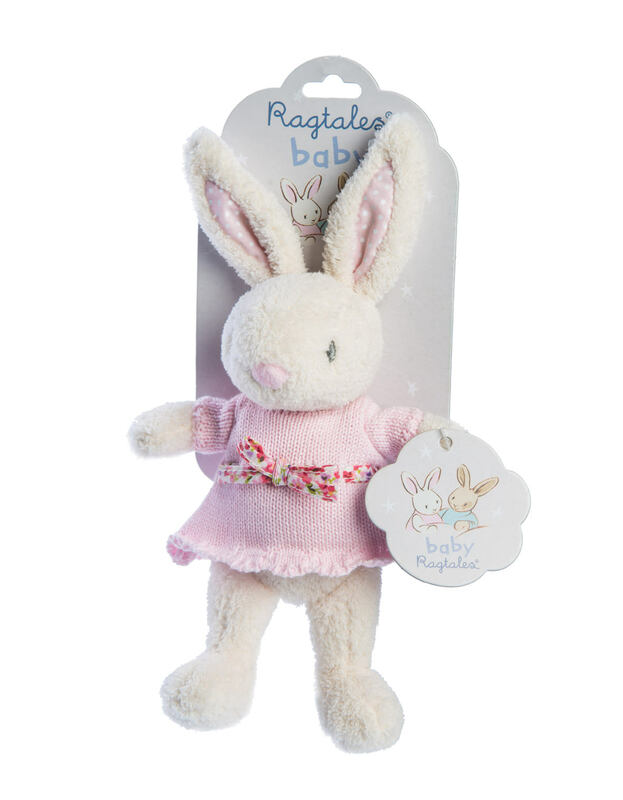 Baby Fifi Rattle Softie is part of the ‘Ragtales baby’ range, comprising of the rattle softie, baby booties, and a comforter.